What brand / model of brake is this modified U-brake? I have been searching for a while, and I cannot find any information on my rear u-brake. It has served me well for many years (10+), and has a surprising amount of force. It's stronger than any cantilever and most V-brakes I've ever used or felt. Adjusted for maximum power, it has crushed a few single walled rims for me, so I usually adjust it off peak for the sake of my rims (though it would probably be fine with dual walled ones). This isn't to say it's phenomenal, it's difficult to get wide tires through it, and if it's not adjusted properly it will hit the knobbies on large tires. I have searched every millimeter of it for any markings or lettering, and it is devoid of any. If anyone has seen one like this, or can identify the brand or model, I'd like to know more about the company, the design, and the specifications. They weren't original to the bicycle, but the frame is a 1997 GT Bravado, the brakes were purchased around 1997-1999. It came as a 1 1/8" threaded / 21 speed setup. Not the answer you're looking for? 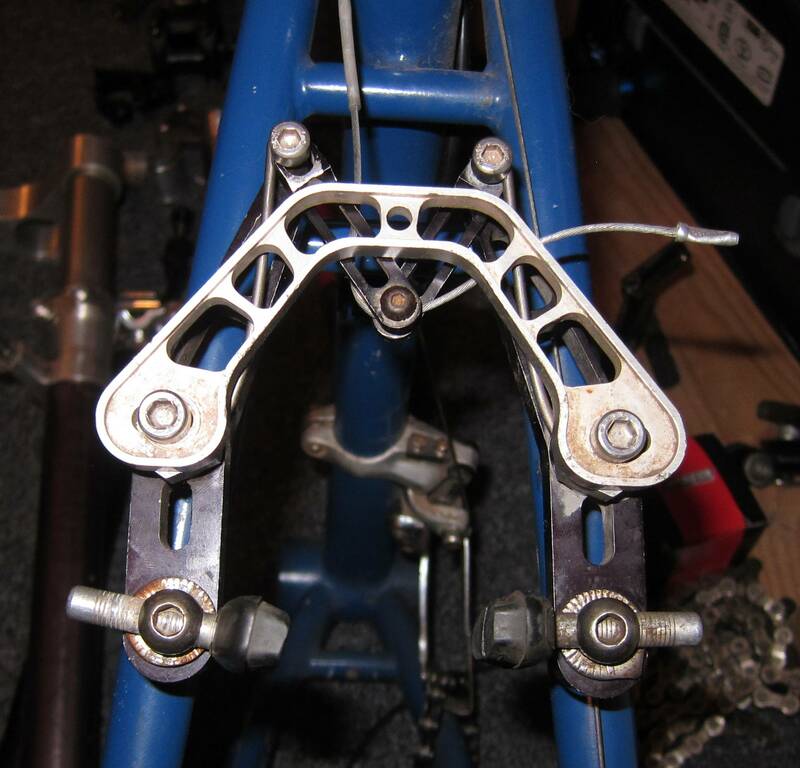 Browse other questions tagged mountain-bike brakes rim-brake identify-this-bike or ask your own question. How to get more tire clearance with caliper brakes? 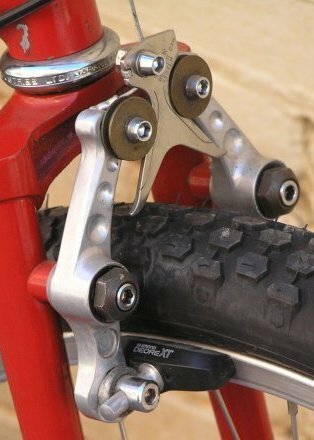 What type of brake is this? Do brake pads designed for both carbon and Alloy rims exist? What model is this Specialized bike? 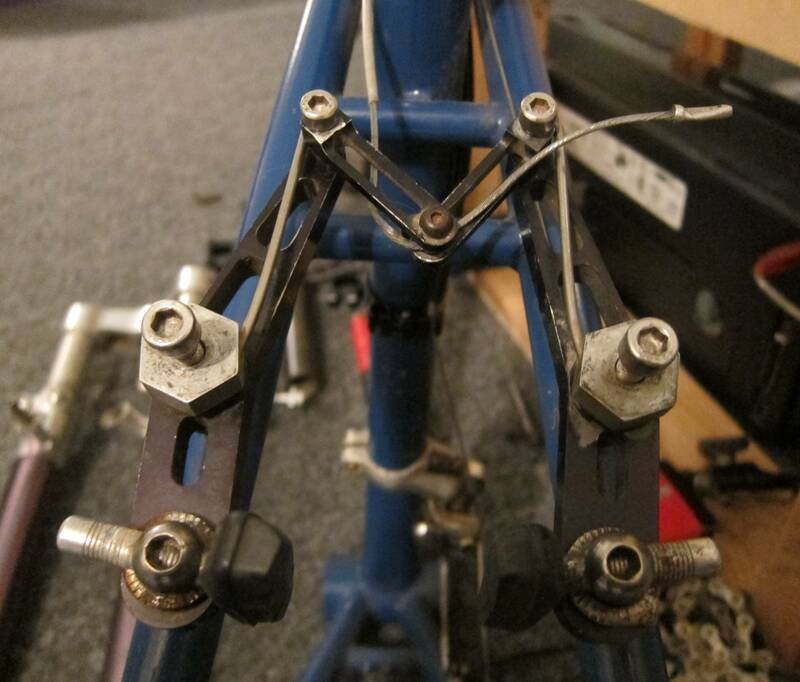 Should V brakes be able to lock the front wheel?